Barbie Bandages 120 Ct. Just $5.99! (Reg. $20) Ships FREE! You are here: Home / Great Deals / Barbie Bandages 120 Ct. Just $5.99! (Reg. $20) Ships FREE! Calling all Barbie fans! Order Barbie Bandages 120 Ct. for Just $5.99! (Reg. $20) Ships FREE! Your little one will absolutely love these stylish Bandages! Each box of sterile bandages come with 4 fun and unique designs. 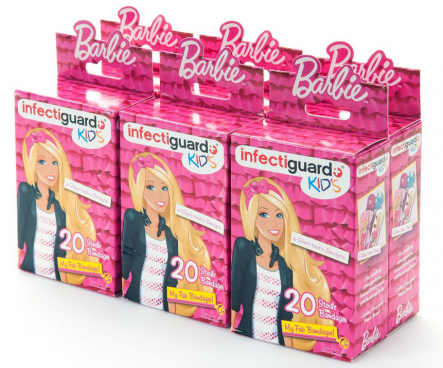 There are 20 bandages per box and the set comes with 6 boxes of Barbie bandages!